If you have a dahlia bed, and you're about to begin preparing it for setting out your dahlia tubers in a month or two, you might be finding dandelions reaping the benefits of your soil amendments. Don't despair. Dig them now, before their golden blooms begin setting seed. Use a fork or a long-bladed shovel so you get all the root; if that long, fleshy root breaks off, chances are you'll get a whole little colony of stubborn dandelions in your dahlia bed later. Keeping your dahlias weed-free early will benefit your growing dahlias all season. If your soil is good for growing dahlias, it's likely that your dandelions, too, will have vigorous leaf growth. 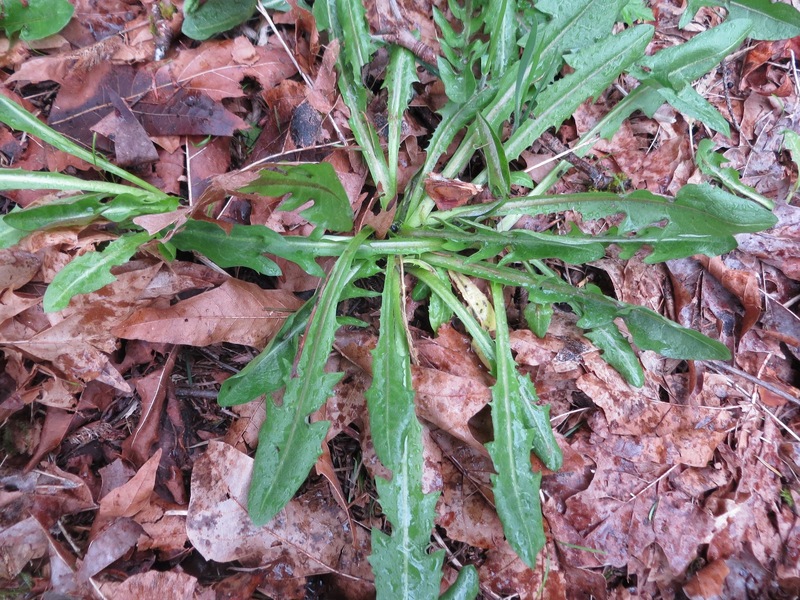 That's good: you can pull your weeds and eat them too. 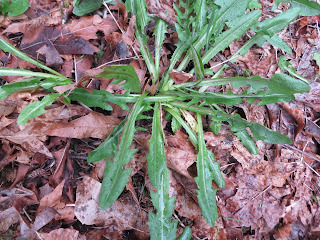 Those young dandelion leaves make a nice addition to a spring salad, with a tangy, slightly bitter flavor. Dandelions may emerge from the mulch in your dahlia bed. besttime to dig them out of your garden. Some people steam the leaves and serve them like spinach. One of our favorite ways to use dandelion leaves is in an herbal stuffing for roasted chicken: combine them with chopped sage and rosemary, maybe with some thyme and marjoram, and scallion tops or the first of the season's chives. Mix with precooked brown or wild rice. Rinse the cavity of the chicken well, rub in a little salt, then fill with the herb-rice mixture and bake in a covered Dutch oven; uncover for the final 20-30 minutes. 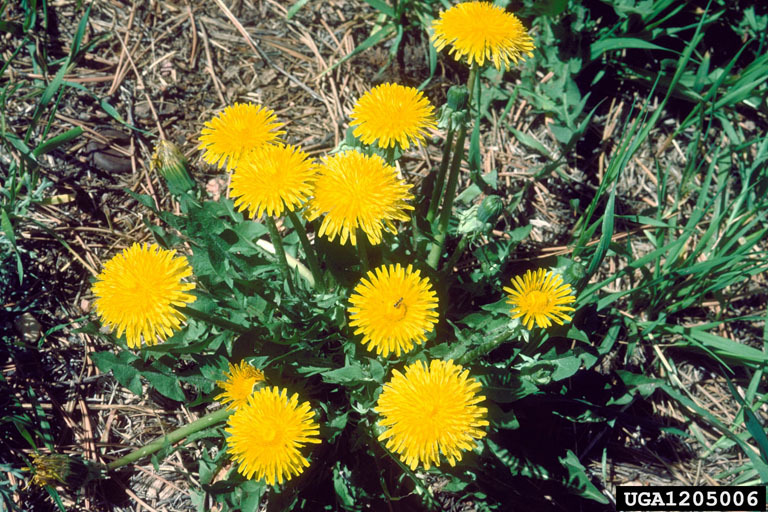 In some parts of the world a major use of dandelions is for wine. We made dandelion wine a few times; one year it made a perfect sparkling wine, but we never achieved that effect again. Both dandelion wine and dandelion greens have a somewhat cleansing effect, good for a springtime tone-up. Even if it's some time before it's safe, in your zone, to plant your dahlias, you'll want to maintain a bed of nice, clean soil for growing beautiful dahlias when summer arrives. When you can get rid of your weeds and add them to the dinner table, that's a bonus.